Imagine you’re standing at the edge of a rock. There’s an incredible scene under your feet. Even the light is perfect. Yet, you look through the viewfinder and feel lost. How can you capture it? In a situation like this, the characteristics of your camera alone won’t get you a good photograph. You need something to limit your choices and help you make a creative decision. This thing is composition. We already touched upon composition in a previous post. 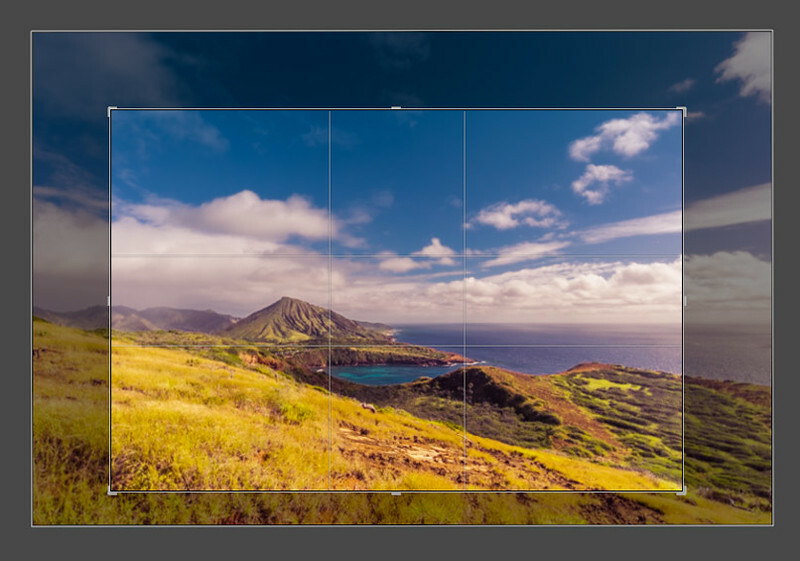 We also explained the basics of the Rule of Thirds – one of the most useful compositional tools in photography. Now we’re going a step further, introducing the Golden Ratio. 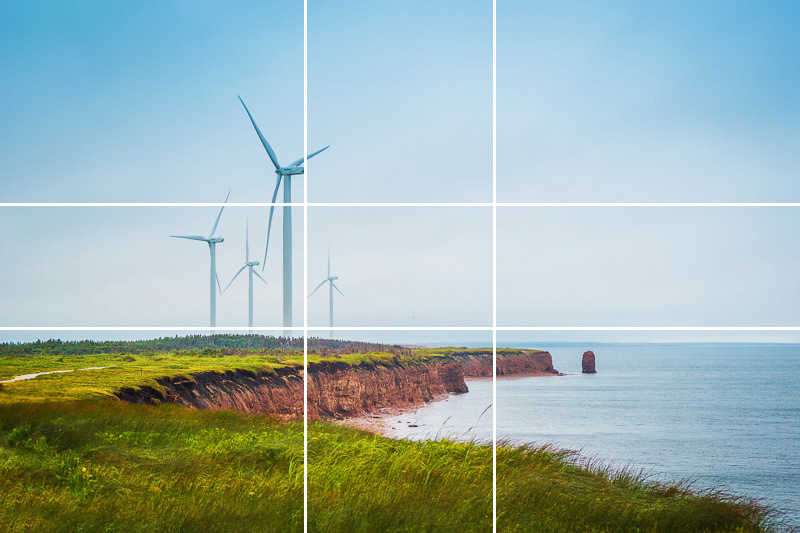 It’s a more advanced version of the Rule of Thirds that will help you replicate the balance and order of nature in your own photographs. You may have heard about the Golden Ratio in art or architecture. It’s a compositional principle of ordering the elements in a work in such a way that the end result is aesthetically pleasing to the viewer. However, the origin of this rule is mathematical. In mathematics, two quantities, such as a and b, are in golden ratio if their ratio is the same as the ratio of their sum (a + b) to the larger of the quantities. Sounds confusing? This image should help. Aligned in this way, a and b look pleasing to the eye because they are in golden ratio. A is approximately 1.618 times bigger than b. Not so sure you find any beauty in those two lines? Then take a look at the two quadrangles below. The first one is 1.618 times bigger than its adjacent one. A spiral. A pattern that we find everywhere in nature. Think of the nautilus shell, an ocean wave or the eye of a hurricane. This well-known graphic explains why the Golden Ratio is often called the Golden Spiral. 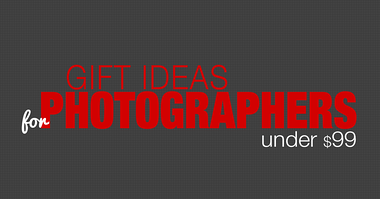 Remember it because you’ll need it in your photography. Why does the Golden Ratio work? As you saw above, applying the Golden Ratio to the quadrangles led to a beautiful harmonious pattern. That’s the key. The Golden Ratio helps us create compositions that appear natural, organic and pleasing to the eye. When we look at a photograph that’s based on the Golden Ratio, it naturally draws our eye to the point of interest. The intended message strikes right home. Now that you know why the Golden Ratio works, it’s time to learn how to apply it in your photos. There are two ways to use it. You can either use the Golden Spiral or the so-called Phi Grid. Let’s take a closer look at both. 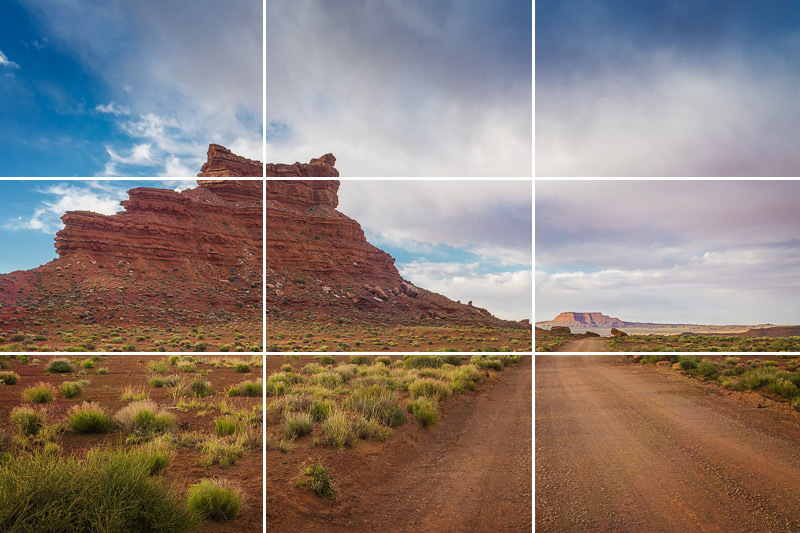 The Phi Grid is an easier way to use the Golden Ratio in your photography. It is a step up from using the Rule of Thirds that will add more power and meaning to your images. 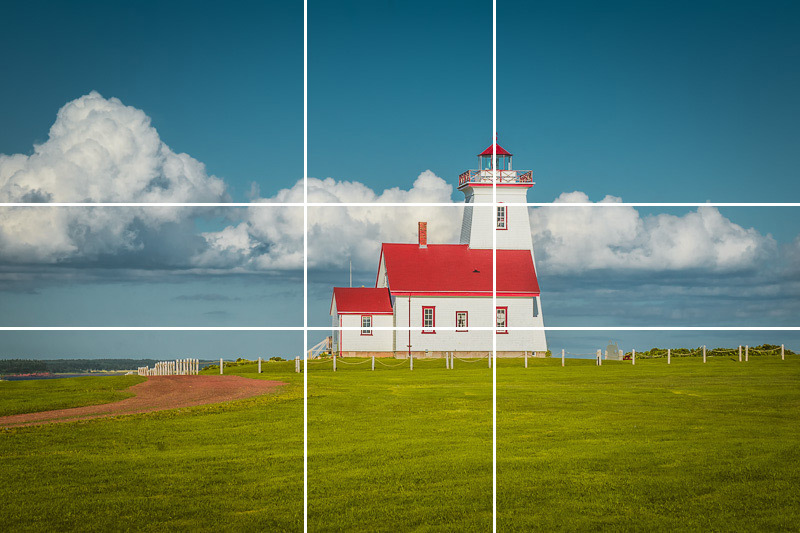 With the Rule of Thirds, we divide the frame in two horizontal lines intersecting with two vertical lines. The end result is a grid formed by nine rectangles of the exact same size. The idea is to place the objects of interest near or at the intersections of any of the lines. The placement of the lines is a bit more different with the Phi Grid. The resulting rectangles are not the same in terms of size. The upper and lower horizontal rows are the same in terms of width whereas the middle one is narrower. The same is true for the right and left vertical lines. This alignment brings the object of interest more to the center than the Rule of Thirds principle. In the photograph below you can see that the lighthouse is placed just a bit off center. The second vertical line follows its highest part. The sky and the land are almost in golden ratio which makes for a much more balanced and eye-pleasing photograph. Had I used the Rule of Thirds here, I would have had more sky and less land and the lighthouse would have been placed more off-center. It would have been a good composition but not as natural as this one. 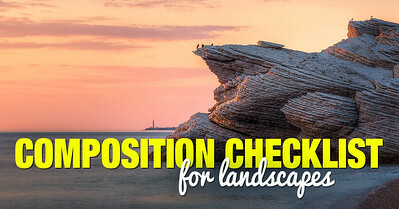 In landscape photography, you very often work with natural lines such as the horizon. That’s why the Phi Grid makes more sense than the Golden Spiral here. Just try to place the horizon along any of the two horizontal lines and your image will naturally please the viewer. Take a look at the image of the spiral again. Its base – the smallest quadrangle – should be the area of your frame with greatest detail. Ideally, the rest of the object should be placed within the spiral. Mind that the center of the spiral need not be in the lower right corner. It can be anywhere in the frame, depending on your object. Now, imagining a spiral that’s overlaying your frame can be really tricky. My suggestion is that you reserve this technique only for objects that either resemble a spiral or have curves. If you can, shoot your object in such a way that its curves follow the curves of an imaginary golden spiral. This way the eye of the viewer will go straight to the object of interest and follow its natural expansion within the frame. Some cameras with digital viewfinder allow overlaying the frame with a Phi Grid or a spiral. But generally, it’s much easier to edit your composition during post-production. 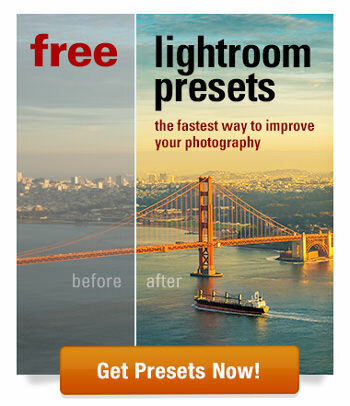 Both Photoshop and Lightroom allow placing a spiral or a grid above your images. 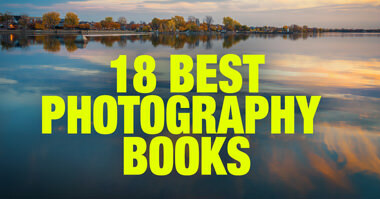 The more photos you’ll edit this way the better you’ll train your eye. Gradually you’ll start applying the Golden Ratio during shooting without even thinking too much about it. 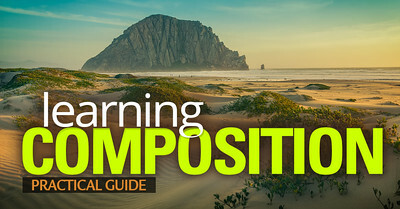 Mastering composition is a challenge that may take a lifetime. 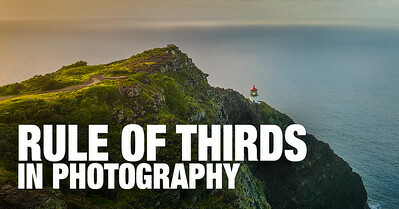 My personal advice to you is to start with the easiest technique – the Rule of Thirds. Then proceed with the Phi Grid. Then look for opportunities to use the Golden Spiral. Sometimes only one of the techniques will work for your image. Other times you may have more choices with different results. 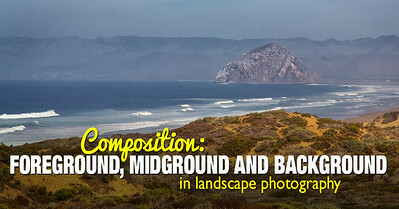 Mastering the various composition techniques gives you the ability to make the right choice for any situation. Still feeling confused about the Golden Ratio? Ask me anything or share your experience with it in the comment section below. Excellent tutorial! Thanks for posting it. Can’t wait to see the photos from your latest trip. Best wishes! This post helped me a lot! Thank you. As for the spiral I would recommend searching the Leonardo Fibonacci sequence to check it’s origin! it’s great knowldge too.